Christmas is the most popular family holiday in Britain. 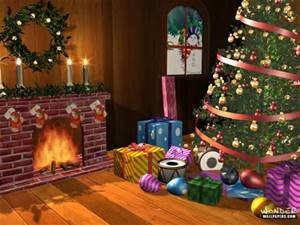 On December 24th all preparations for Christmas are usually complete. Christmas cards are sent, Christmas trees are decorated and presents are bought. Many work places are closed earlier. Late in the evening some people go to church to attend the so called „midnight mass”. Children don’t forget about hanging up socks on their beds or a fireplace. They believe in Santa Claus, who gives the presents for polite children. Christmas Eve is followed by Christmas Day (December 25th) which is the most important day of Christmas. Children wake up early and open their presents. Then the whole family gathers at the Christmas table. Traditionally Christmas dinner consists of roast turkey, mince meat pies, pudding decorated with holly, dried fruit and spices. On this day the Queen delivers an annual Christmas speech on tv. December 26th is called Boxing Day. On this day people give presents of money to paperboxes or dustmen. They visit their friends and arrange parties. This is the last non-working day. The Christmas season continues till January 6th.